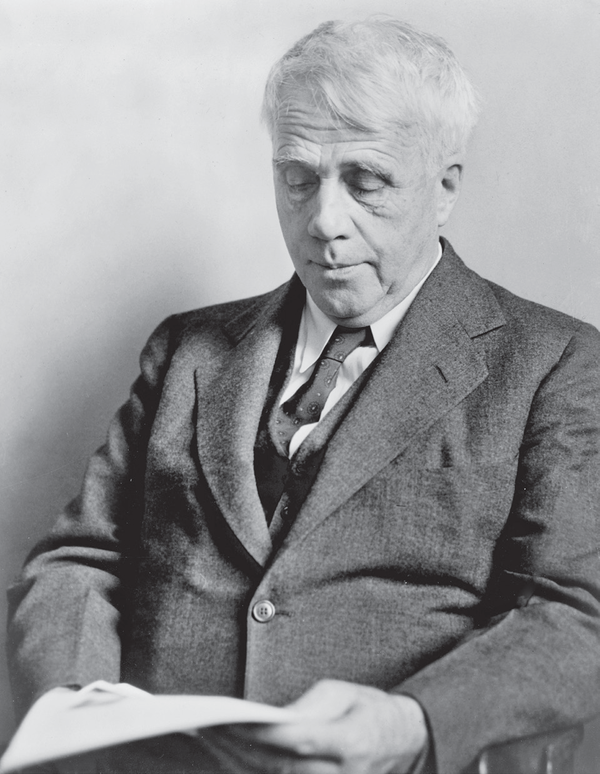 Robert Frost was best known for his poems that regarded the life of the common man. His poems, mostly set in rural New England, gained him four Pulitzer Prizes, and he was later awarded the Congressional Gold Medal in 1960. Frost’s perspective from the average American skyrocketed him to fame, but not until nearly 40 years after his first poem was published. Here, we’re looking into what inspired Frost to speak to his audience in common tongue, and how it made him one of the country’s most remarkable poets. Robert Frost spent the earliest years of his life in San Francisco, California. He was born to William Prescott Frost Jr. and Isabelle Moodie in 1874. When Frost was just 11 years old, his father died of tuberculosis. After this, his mother moved the family to Lawrence, Massachusetts, where Frost’s grandfather owned a New England mill. The same year his first poem was published, Frost proposed to Elinor Miriam White. She declined, wanting to finish college before settling into marriage. Frost waited until she graduated before popping the question again. This time she agreed, and the couple was married in December 1895. Two years into their married life, Frost decided to make a second attempt at college. He was admitted to Harvard University, where he stayed from 1897 to 1899 but left due to illness without completing his degree. After an unsuccessful second attempt at college, Frost’s grandfather bought he and Elinor a farm in New Hampshire. It was here that Frost produced some of his most well-known poems. He worked as a farmer for nine years before he and Elinor decided to move back to the city, where Frost could pursue teaching English. He taught until 1912, then decided to sail with his family to Great Britain. They made a home in a small town outside of London. The next year, A Boy’s Will, Frost’s first novel was published. While living in the UK, Frost met other aspiring poets who would greatly influence his career. Edward Thomas and the Dymock Poets, a literary group in the early 20th century who lived and worked together, would both serve as inspiration for Frost’s famous poem “The Road Not Taken.” Frost also became acquainted with T.E. Hulme and Ezra Pound. Frost returned to America in 1915 when World War I broke out in Europe. After the success his writing had in England, he was able to build a career on writing and teaching. The family bought a farm in New Hampshire, which is maintained today as The Frost Place. For forty-two years, Frost spent almost every summer and fall teaching in Vermont and played a large hand in establishing the writing programs at Middlebury College. From 1921 to 1927, Frost taught at the University of Michigan, Ann Arbor. By 1934, his career had a solid foothold, and he began spending winters in Florida. Despite having never graduated from college, Frost received 40 honorary degrees from schools where he had taught or lectured. In 1960, Frost received a Congressional Gold Medal, and in 1962, he was awarded an Edward MacDowell Medal for his contributions to the MacDowell Colony. When Frost was 86 years old, he recited "The Gift Outright" at the inauguration of President John F. Kennedy. The next summer, he joined Secretary of the Interior Stewart Udall to the Soviet Union hoping to meet Nikita Khrushchev, and reach a lasting peace between the feuding nations. Frost died due to post-surgery complications in January 1963. Today, readers of Frost can find a collection of his works in the Special Collections department of the Jones Library in Amherst, Massachusetts. There are roughly 12 thousand manuscripts, poems, letters, and photographs detailing Frost's life. Today, he is recognized not only for his poetry, but for his ability to capture stunning landscapes and philosophical tones that spoke to widespread audiences.